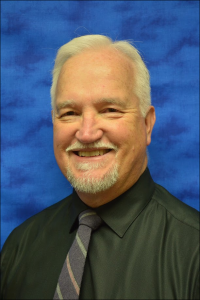 Roger Myers has served as Director of Music for Lutheran Chapel for 37 years. He has an Associate Degree of Applied Science in Textile Technology from NC Vocational Textile School, a Bachelor of Science in Mathematics from Mars Hill College and a Bachelor of Music Education from Mars Hill College. Roger retired as a mathematics teacher with Gaston County Schools after 25 years at East Gaston High School. He focuses on the adult choirs, Chancel Choir and Chapel Voices, as well as the Wind Ensemble. He plays all brass and woodwind instruments as well as guitar, recorders and enough keyboard to facilitate composition. Roger and his wife of almost 40 years, Jeanette, have two adult sons. His favorite hymn is “O Sacred Head, Now Wounded,” since without God’s own sacrifice on Good Friday the rest of the story would be pointless.